As a major producer and exporter of tropical agricultural products, Vietnam is, however, facing challenges and barriers shipping its products to Europe and Japan as well. According to the General Department of Vietnam Customs, by the end of the second quarter of 2018, more than 10 key agricultural products of Vietnam are exported to over 160 countries and territories in the world. Key exports with an annual export value of above US$1 billion each include coffee, rice, cashew nuts, fruits and vegetables and they are now present in most major import markets like the United States, the European Union (EU) and Japan. Nevertheless, due to the limited capacity of intensive processing and ineffective branding, Vietnam’s exports though in large volume but generate very low value. Sharing out profits among many intermediaries is one of major reasons. Many unbranded and unlabelled agricultural products are sold in the world market by foreign traders, causing significant disadvantages to the integration of Vietnamese agricultural products into global value chains. Those difficulties arise from integration-based competition and inherent challenges such as intensive processing and branding. For that reason, Vietnam’s export value is incomparably low albeit high volume. Under the Japan-Vietnam Economic Partnership Agreement (VJEPA), Japan is committed to eliminating tariffs on 83.8 per cent of Vietnam's agricultural exports within 10 years. Vietnamese products are assured of highest incentives among ASEAN countries, including honey, ginger, garlic, litchi, durian, shrimp and crab. As soon as the pact comes into effect, Japan will reduce tariffs to zero on bamboo, rattan, single-use chopsticks, black tea, frozen fruits, dried fruits, fresh or frozen vegetables (cabbage, mustard, mushrooms and carrots), fresh shrimps and frozen crabs. Meanwhile, the demand for agricultural products in Japan is expected to increase further since its economy is growing faster than expected. Japanese consumers tend to spend more on eating out. Since 2017, some fruits and flowers of Vietnam have managed to meet strict regulations imposed by the Japanese market and been exported with an increasing volume. Japan is now the third largest market of Vietnamese agricultural products after China and the US. Those advantages are creating great opportunities for Vietnamese agricultural products to export to this market. The EU is in the temperate zone and it impossibly cultivates tropical agricultural commodities. Thus, in bilateral trade, Vietnam has particular advantages in producing and exporting tropical agricultural products to this temperate region. At present, Vietnam’s agricultural exports to the EU are relatively diverge in categories and products, with coffee, fruits, nuts and spices accounting for 88.3 per cent of the sector’s export turnover. 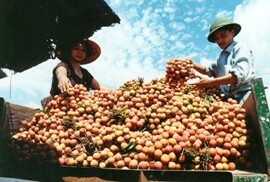 Currently, the EU is the largest importer of Vietnamese agricultural products. In July 2018, Vietnam and the EU have made important breakthroughs with the signing of the Vietnam-EU Free Trade Agreement (EVFTA) when both sides have agreed on the separation of investment protection and dispute settlement mechanism between the State and the investor from EVFTA into a separate agreement (Investment Protection Agreement - IPA); unified the entire EVFTA legal review process; and agreed on all IPA contents separated from the EVFTA. These breakthroughs will significantly accelerate the signing of the EVFTA and open up a great opportunity for Vietnamese key agricultural products. Vietnamese rice exported to the EU then will be entitled to separate tariff quotas. Duties on agricultural products will be cut sharply to 0 - 5 per cent within 7-10 years. 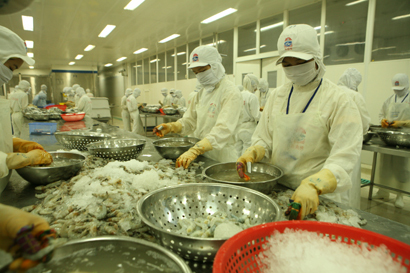 But, challenges to Vietnam's agricultural products are strict quarantine regulations and barriers, and very strict quality requirements in these markets. In the EU - a market that put a premium on food value, product quality and food hygiene and safety, Vietnam’s vegetables and fruits account for just one per cent of EU imports of fruit and vegetables and are mainly fresh and semi-processed. Currently, the EU is reviewing and tightening its food safety regulations and increasing the frequency of inspections to 20 per cent for horticultural produce and 50 per cent for spices. The EU is also continuing to draft more stringent regulations on quality standards for some crops such as pepper and spices. On the other hand, Vietnam's seafood products are still facing a yellow card for failing to combat illegal, unreported, and unregulated (IUU) fishing and subjected to strict monitoring for the next six months to October 2018. At the same time, the European Commission (EC) is considering potential health effects of propiconazole residues on rice from pesticide preparations. In the culinary culture, Japanese people believe that food quality comes from inputs. Japan can be seen to impose highest product quality standards because it underlines consumer welfare and wellbeing. Japan's standards of agricultural products are very high and very strict, even above the US and EU markets. Japan is also known to have great protectionism for agriculture. This country, known as a distinct market, has four large islands, accounting for about 97 per cent of area and each region has a different culture and economic structure. Therefore, shipments to Japan need to determine specific destinations, for example Tokyo or Osaka, experts recommended.